They want you to show them that you know them. And we do this best by listening. I’m compelled to add this coda to the C.P.A. series because there’s some breaking news that pertains to what was one of my favorite listening tools. In Part I we covered the fact that key to writing a post folks will want to read is first finding out what folks want to hear! One of those tools, sadly, just kicked the proverbial bucket. Yet I’ve also discovered a host of new tools that may be extremely useful to you in your research. Yup, the universe taketh away; the universe giveth. No one is going to read your blog unless you make it accessible. As in “easy to approach, reach, enter, speak with, or use.” So, let’s start at the beginning. Getting found and getting opened. For starters, you’ve done your market research and you know what your constituents care about (if you haven’t done this, look at the 6 actionable tips in the previous post). Now, take all the great topics you’ve researched and brainstormed – all the questions you’ve been collecting from your constituents – and build an editorial calendar for your blog. I’m going to give you some tips and tools that will make this really simple. Promise. An authority on their subject. Focused on you and your situation. Working from a plan; knows how to help you. Accessible to you; easy to understand; there when you need them. Gosh, golly… that’s exactly what your blog readers want from you! So if you’ve got passion and authority (and I certainly hope you have that about your mission and the work of your organization) then you’re already ahead of the game. Woo-hoo! Now you just need to package everything, and make sure you’re Constituent-centered (focused on your readers); Planful (you know what your blog’s goals and objectives are and how you can use your blog to be of value to your constituents), and Accessible (folks can easily connect with you and understand what you’re sharing with them). Once you understand the principles of C.P.A. you’ll be well on your way towards having a blog with content that knocks the socks off your readers. Today, let’s begin with how to put the ‘C’ in C.P.A. I’m a huge blog booster for nonprofits. So much so that tomorrow I’m offering a free webinar on the topic with the folks at Good Done Great. I’ll also be posting a series of articles on this topic in the coming week. 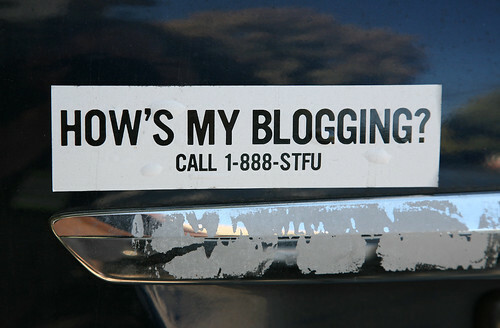 If you don’t have a blog yet, you should get one. Pronto! Yup, I think they’re that important. Here is an overview of what I’ll be covering in tomorrow’s webinar, plus I’ll have a special bonus offer for webinar participants. If you can’t make it, you’ll find a few actionable tips in this article. Plus you’ll find more actionable tips all week. I truly want you to do this, and I don’t want it to kill you. So I’m going to give you some easy steps you can take to make your blog (1) doable, and (2) a super investment of your time and resources. I’m betting that pretty soon you’ll wonder what you ever did without it! How Much Social Media Does Your Nonprofit Need, and Why?